No, not think it was yesterday, when that small called "Little Stevie", began to create a musical paradise that has made us enjoy. Nor think it was yesterday, when works of art in the form of songs, they left their mark printed for life in my heart. Much time has passed, like many pleasures sound with which I have enjoyed with this man. 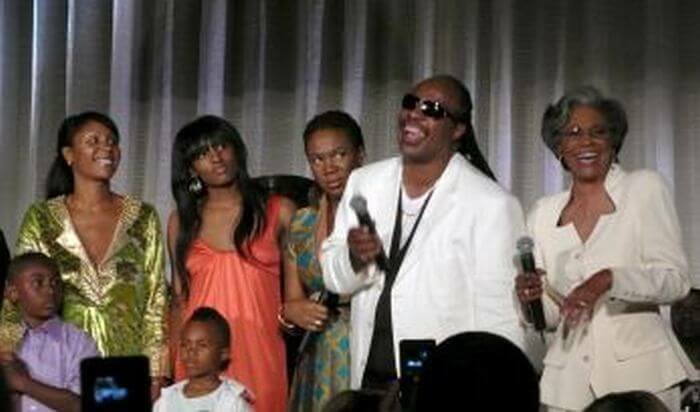 Fashions have been passed, how to create and interpret music have evolved in the decades and millennium have been passed and the man pages Stevland Morris, aka Stevie Wonder, continuously excited with his songs and his person. This May 13 Stevie will celebrate his 59th Birthday, this limit so ugly word "old age", yet the freshness and life to achieve their generosity in a world full of peace and love has no boundaries and continues feeding this new decade, about to begin, with more creative sap of his mind fertile. Promises to be splendid and rich in creativity, clinging to a need to stay in touch with their audience, as well as we showed in his tour ended a few months ago. A publication of their solo projects - "The Gospel Inspired By Lula" or "Through The Eyes Of Wonder" - is helping to align the projects debut album of his daughter Aisha Morris, and a duet album with Tony Bennett and production by Quincy Jones. Stevie Wonder makes a smiling nod to history, she is unshakable, distant, and we tried to chill, but has won. The future is unpredictable, and inclement exciting, it's a battle to win, but confidence is strong and will continue building and enriching his history, becoming, of course, in the musician most creative and influential into the music.